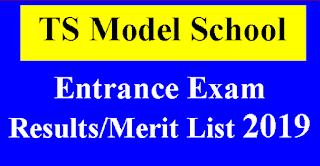 Government of Telangana Board of Inter mediate Education Released Intermediate 1st and 2nd Year Exam Hall Tickets of 2019 at their site www.tsbie.cgg.gov.in. 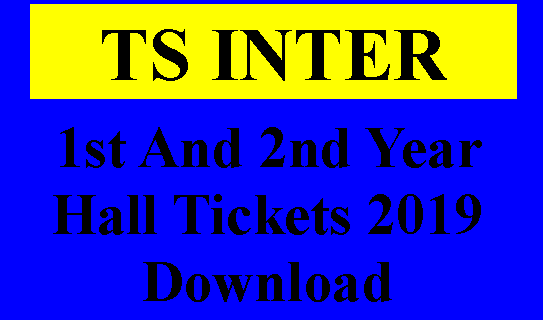 Now You Can Download Inter First Year And Second Year Hall Tickets 2019 From Below links.TS Hall Tickets 2019 Available Now at their Official Site.Students of Telangana Can Download Their Intermediate Hall Tickets of Vocational and General First and Second Year of 2019. 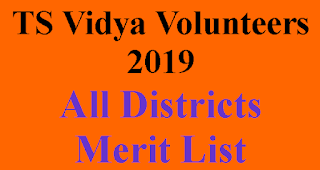 Hall Tickets will be available in Feb-2019. 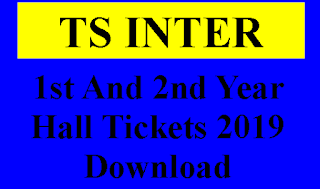 Download Intermediate Public Examination IPE-March 2019 Hall Tickets and Also You can Download IPE march 2019 Exam Centre Locator App From Google Play Store. By Using This App Developed By TSBIE students can find their Exam Centre Locator.